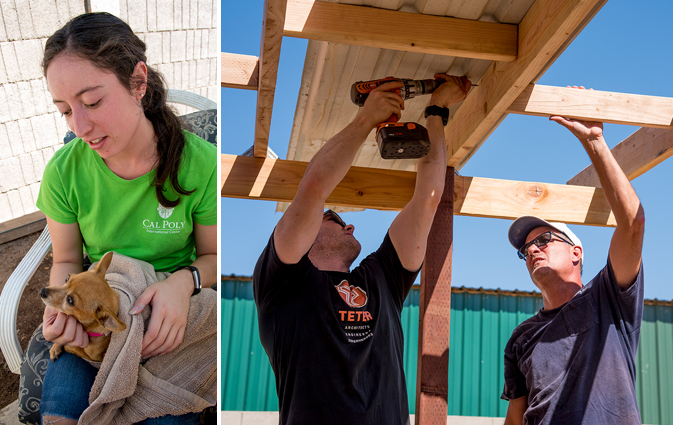 TETER’s public sector team donated design, labor, and materials to Animal Rescue of Fresno (ARF), a Fresno no-kill shelter, to provide a safer place for their rescued animals. 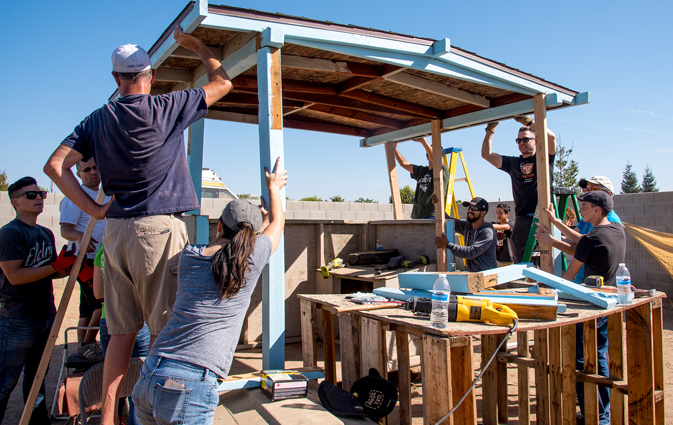 Partners and staff spent Saturday morning building a new animal shade structure, modifying an existing structure, bathing dogs, and painting a new mural. 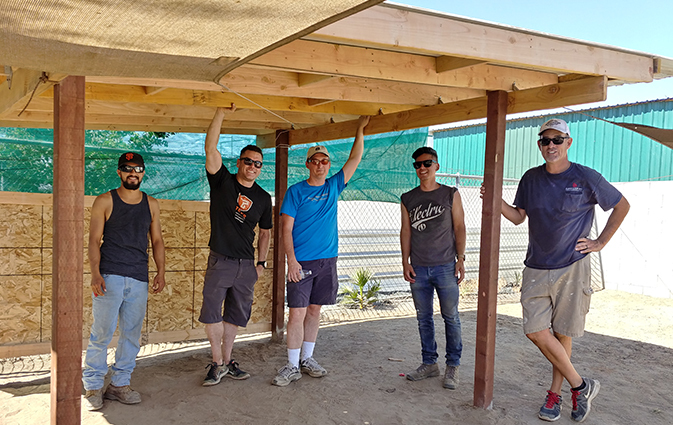 TETER’s team design and build a new animal shade structure for the outdoor pen area. Staff and Partners from TETER work together to modify an existing animal shade structure for ARF! 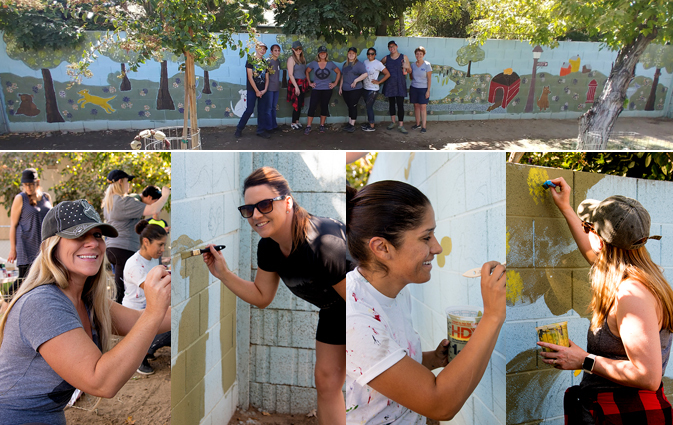 TETER staff volunteer to paint a new mural in the Event Garden at ARF. 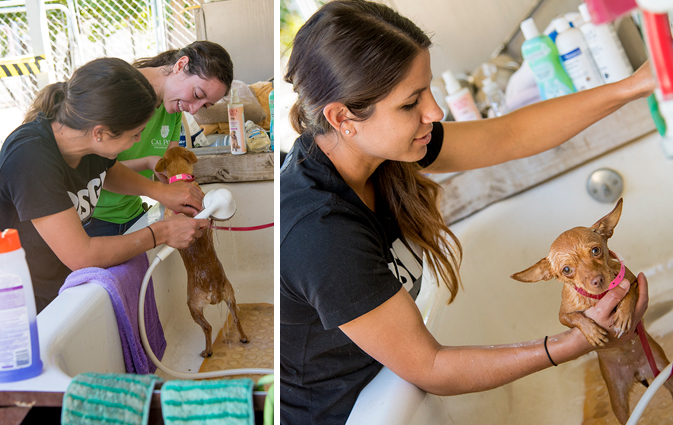 TETER staff bathe a rescue dog at ARF. https://teterae.com/wp-content/uploads/2018/09/TETER-volunteers-at-Animal-Rescue-Fresno.jpg 425 673 betty https://www.teterae.com/wp-content/uploads/2019/01/40Logo_Transparent_no-shadow.png betty2018-09-22 19:03:522018-09-24 21:08:51TETER volunteers at ARF!